A complete line of precisely manufactured specialty activated carbons custom-made to perform best in your application. Unlike hundreds of off-the-shelf carbon based commodity products, our carbon-derived carbon CDC allows activated carbon to be manufactured according to your needs and tuned to a specific application whether your product targets performance improvements in energy, water, medical, anlytical or other applications. With our carbide-derived carbon CDC, we have shown improvement in performance in several applications including supercapacitors, lithium ion batteries, gas (methane, hydrogen, chlorine, carbon dioxide, oxygen) storage, biocidial materials, thermal desorption, liquid chromatography, filtration, catalyst support and sorbents for sepsis treatment. We are interested in partnering with you to develop carbide derived carbons specifically tailored to meet your needs. While developing the 'best' carbon for your application, we begin by thoroughly studying the underlying technology and the key materials properties required. 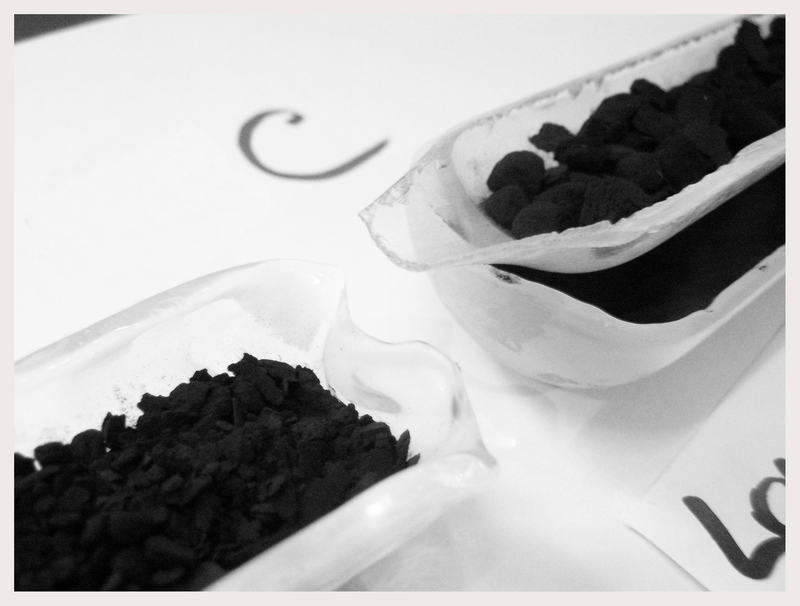 Once we have an understanding of the properties required, we sample several small quantities of carbons for your evaluation and feedback. Below are some of our capabilities of custom-made carbide-derived carbon. With NanoporeU CDC - carbide-derived carbon, you have the flexibility of choosing porous carbons from a wide range of average pore sizes - from 0.6 nm to 30 nm. Carbons with narrow or broad/multi-modal distribution of pores are available. Control of average pore size has allowed our customers from a variety of industries to select 'optimum' carbon material resulting in superior performance. Optimum pore size vary for target molecules or ions of different sizes - large pores may be inefficient due to lower adsorption surface area, and pores that are too small are not available for adsorption. The ability to finely tune pore size of carbide-derived carbon makes them an ideal choice for improving adsorption capability. In addition to control the pore structure, we have the capability to manufacture mesoporous carbon with minimal micropore volume. Note: Average pore size/width of activated carbon is determined from gas adsorption technique by using different models, which assumes various parameters that influences the calculation of average pore size and the distribution of pores. Unlike zeolite, activated carbons do not have discrete pore size. Carbide-derived carbon family has carbons from 100 to 2,500 square meters per gram. High surface area is a prime requirement for most of the applications where activated carbons are currently used. In addition to high surface area, carbide-derived carbon CDC offers precise control of pore size and pore volumes in the range of 50-80% of total material volume. The high pore volume and surface area allows large volumetric and gravimetric density of molecule/ions to be reached while using as little carbon as possible. Furthermore, most pores in carbide-derived carbon are open (accessible) to the surface. 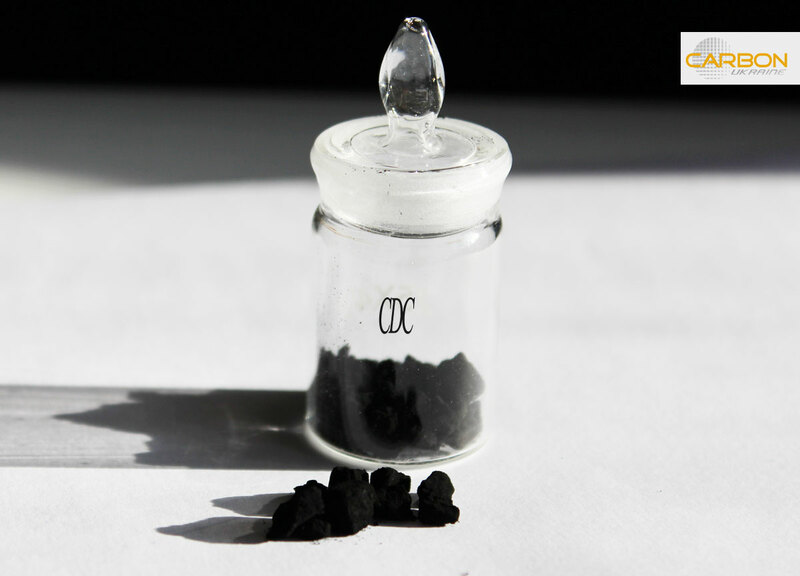 Carbide-derived carbon CDC is available in various forms such as powder (with particle size from 20 nm to 500 µm), pellets (cylindrical, cube or complicated shapes), foams, sheets (150 - 750 µm thick) and fibers. We have also supplied carbon sheets with metal mesh embedded in it. For information on our electrode product line, please visit SupercapU. Unlike carbons manufactured from conventional process, where particles are either ground or agglomerated to alter the particle size, we have manufacturing technology that does not involve grinding and agglomeration of powders and thus offers strict control of particle size and avoids contamination due to impurities originating from grinding. Carbide-derived carbon CDC comes with particle sizes ranging from 20 nm to 2.5 mm. Furthermore, materials with narrow particle size distributions such as 45/50, 60/70 mesh sizes, etc. can be prepared for use in areas where liquid or gases will be passed at higher velocities to avoid significant pressure drop. Carbide-derived carbon CDC offers customers selection of carbons from a variety of structures such as amorphous or disordered, turbostatic, and graphitic. Our graphitic material offers a higher surface area compared to graphitic carbon made from conventional activated carbon manufacturing. Applications of our graphitic carbons include use in faster removal of organic/inorganic compounds when used as adsorbent for gas/liquid chromatography and as conductive filler for low-resistance electrical applications. CDC’s bulk density can be crafted from 0.25 to 1.25 grams per cc. Carbons with higher bulk density with optimum pore size and surface chemistry is essential for higher volumetric performance. Carbons with lower bulk density material can be used in applications such as pore former and as conductive additives in electrochemical applications. CDC offers the possibility of manufacturing pure carbon with metal and halogen content less than 100 ppm and free of arsenic, lead, mercury, sulphur, etc. Such carbons burns completely in air at temperatures greater than 600oC. In the past, we have supplied highly pure carbon material that burns completely at 300oC for use as pore former. While CDC consist of pure carbon, our manufacturing technology offers the ability to intentionally retain metals, metal oxides, metal carbides and halogens in the product. In addition to porosity and structural control, CDC offers the ability to control surface chemistry, resulting in materials with hydrophobic, hydrophilic, acidic and base surfaces. Carbon materials with the same pore size and different surface chemistries are available. For applications such as thermal desorption and filtration, where moisture adsorption is undesirable, we have developed a hydrophobic carbon which adsorb as little as 10 wt% moisture in 70% relative humidity air while exhibiting reduced hysteresis compared to other commercial hydrophobic carbons. Our functional material has shown complete removal of various color additives in food processing industries. The figure on the right shows two samples with different surface chemistry but same pore size. Our CDC is anamolous to pharmaceutical grade activated carbons with purity level greater than 99.8%. Options exist for qualifying 'specific' CDC carbon as pharaceuatical grade carbon as per U.S. Food Chemical CODEX testing standards.The CODEX test will include determination of water, arsenic, lead, aromatic hydrocarbons, cyanogens and heavy metal impurities and will also include information on loss on drying, residue on ignition and iodine number.